Oh Mg! Is there anything magnesium can’t do? Often called the miracle macro- mineral, magnesium has been credited with healing everything from headaches and insomnia to depression and heart disease. Magnesium plays a crucial part in the synthesis of serotonin and dopamine, which are the important feel- good chemicals we all want in our brains. Almost everyone can benefit from more magnesium in their life, not only for their health, but also for relaxation, anti- anxiety, and quality sleep. 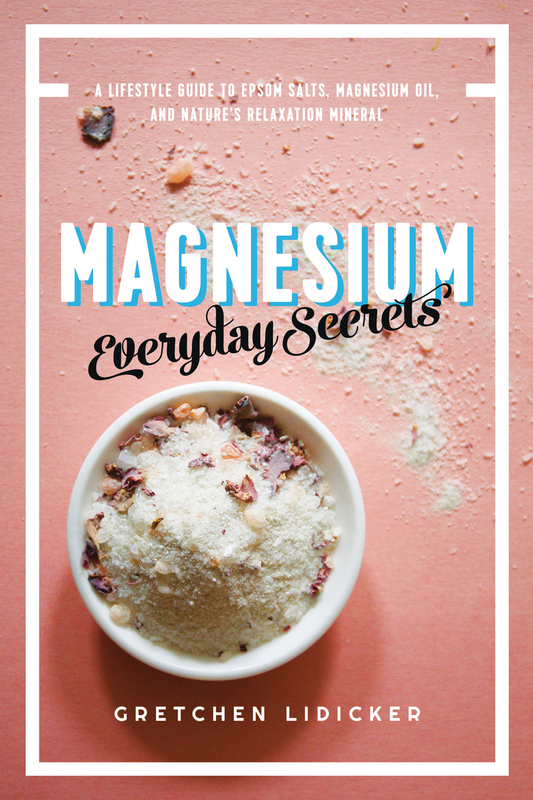 Thirty appealing recipes offer ideas to bring magnesium into your self- care routine, from foot rubs to indulgent Epsom salt baths to smoothies, for improved mood, better sleep and digestion, and optimized health. Gretchen Lidicker is a scientist, journalist, and the health editor at mindbodygreen.com. She has a masters in physiology and biophysics with a concentration in complementary and alternative medicine from Georgetown University and has worked on the academic and clinical side of integrative medicine for many years. Originally from Sedona, Arizona, where she was first exposed to natural medicine, Lidicker lives in New York City.